The Jake Hoback Kwaiback is a mid-tech folder that is based on the time-honored traditional Kwaiken design. It has a bronze colored titanium frame lock handle with an adjustable detent on the lockbar and a CBP caged bearing pivot for consistently awesome blade action. 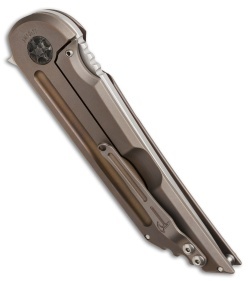 Flipper opener and reversible tip-up carry pocket clip. The blade is stonewash finished. 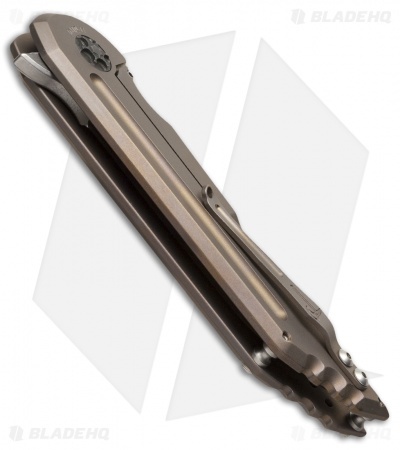 New from maker at BLADE Show 2015. 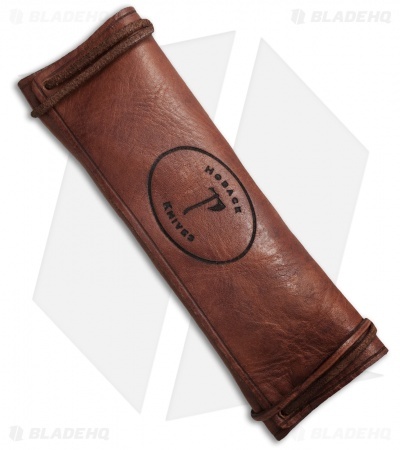 I'm relatively new to the higher end tactical knife community and from watching YT vids on the subject, the Kwaiken design really appealed to me. Of course the more I got "educated" the more I realized that to possess one of Mr. Hoback's Kwaiback would probably be next to impossible or take a very long time acquire. So I just waited like everyone else. 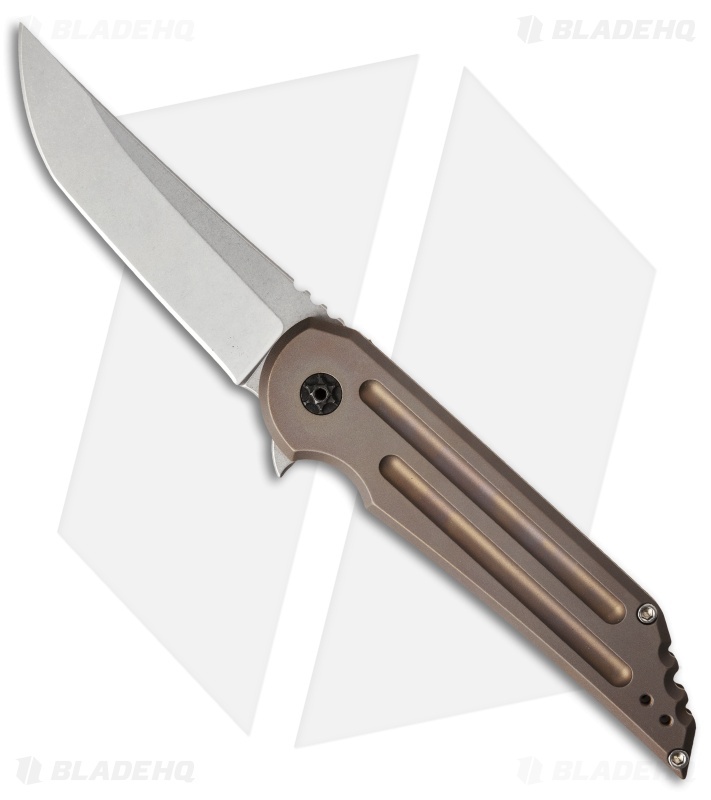 Then two days ago, I hit the refresh on my browser for Kwaikens on BladeHQ and what do you know...they had a Bronze Mk3 with the custom pivot and clip! I jumped, no I leaped for my credit card and ended up getting it! Now the ano is just perfectly executed, dark even bronze, including the custom clip. 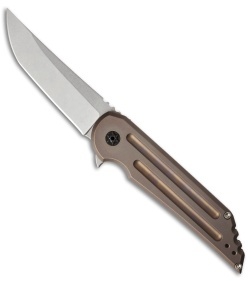 The custom pivot has an finish that gives the impression that it's aged and compliments the bronze ano. The blade is a finer stonewash and tumbled and should wear well and show well for years to come. The smoothness of the deployment is amazing and centering is spot on. All the milling and contouring is excellent. Finally, I love the new style leather case with the Hoback logo and the coloration definitely ties together with the color of the ano. I serious thought about buying this to resell, however now that I have it in my hands, I don't think I can. Stay safe and get one when you can.